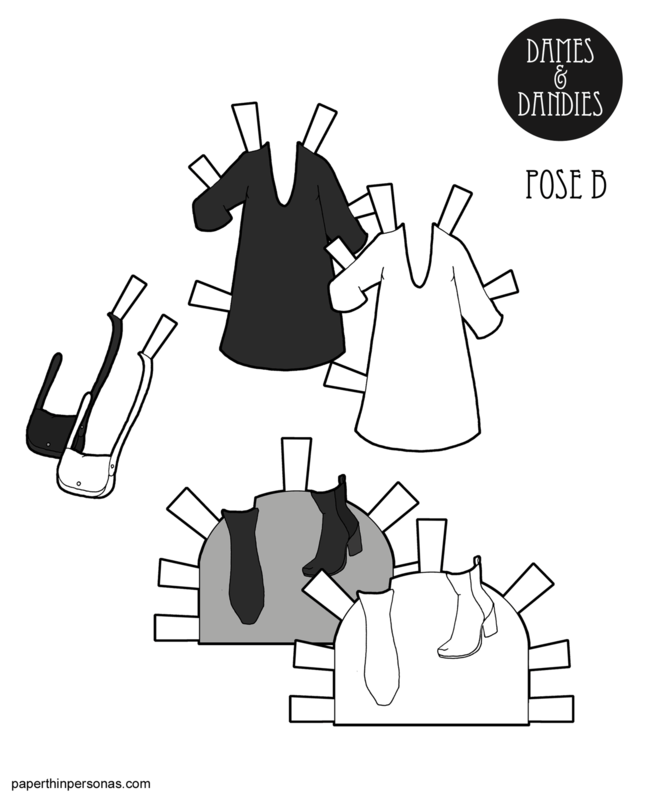 Printable Black & White PDF Printable Color PDF More Paper Dolls & ClothesAs I said that last time I posted a minimalism fashion set, I love how with minimalist fashion the simplicity makes every line matter. The shapes of these garments demand discipline, because one line out of place and you can see it. In this dresses case I almost prefer the black and white version, because you can really see the line work. And if you have a moment, think about becoming a Patron or following the blog/me on Instagram or telling a friend about it.